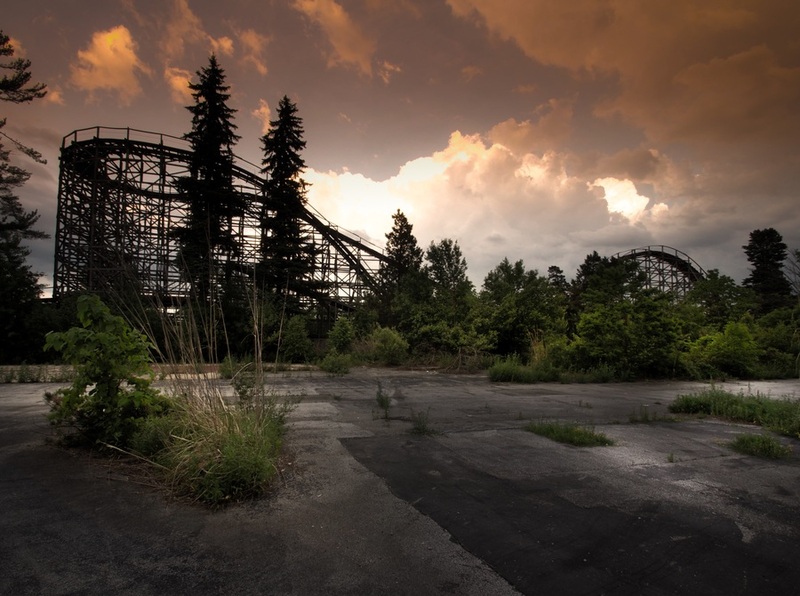 Most people forget about amusement parks once they've permanently closed their doors, but photographer Seph Lawless made those abandoned parks his top destination while working on his books, Bizarro. He spent two years capturing these often eerie photos. Seph Lawless published Bizarro with one thing in mind -- to capture the most hauntingly beautiful abandoned theme parks in the world. 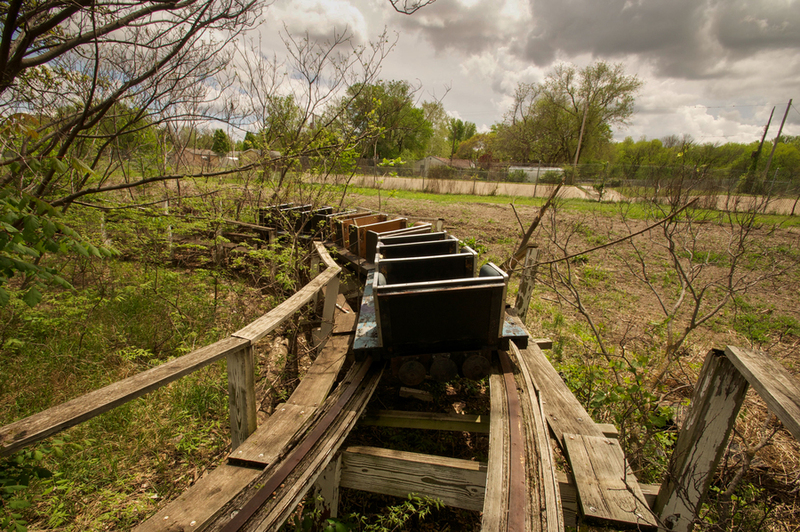 His book features 200 pages of 10 abandoned amusement parks around the globe, and six of those featured parks are located here in the Midwest. Joyland Amusement Park in Wichita, Kansas was one of Lawless's favorite experiences. He even had to run away from a tornado while taking photos here. It opened in 1949 and closed in 2006 due to financial issues. Lawless discusses the dangers of his job, which include taking photos on a rusty ride. Geauga Lake dates all the way back to the 19th century. It stayed open all the way until 2007. Years after it closed, Lawless took a trip to the park to see how it was holding up. He tried to shoot all of the theme parks right after big storms to truly enhance the haunted feel of the photos. His many years of experience as a photographer helped him develop these methods. This theme park in Angola, Indiana, originally opened in 1956 until, much like the other parks, it faced money problems and had to close in 2008. This is just one of six abandoned parks Lawless photographed in the Midwest. He doesn't only take pictures of amusement parks, however. For more photos and the history of the parks, look through our complete gallery. 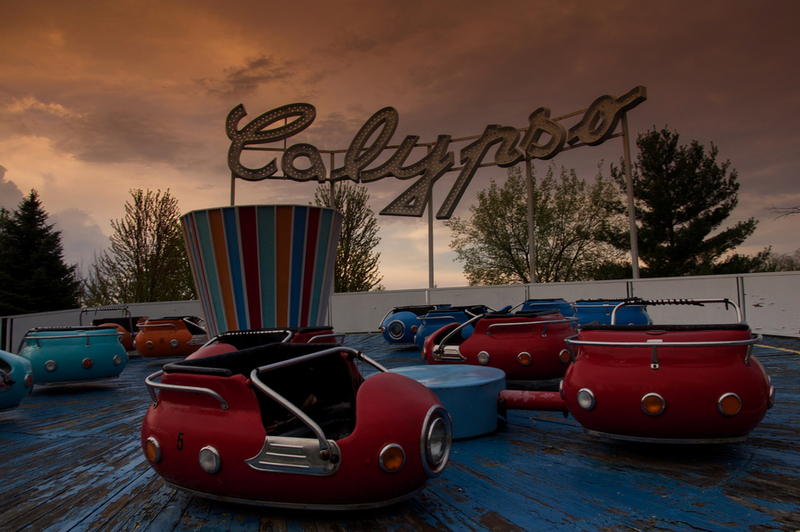 To see all 200 photos of abandoned theme parks acrodd the world, check out Lawless' book.